Randers Municipality has transformed a wet meadow into a natural water management facility to protect Vorup against water from above, below and from the sea. In the district of Vorup in Randers Municipality, water poses a threat on many fronts. Rain can lead to flooding from cloudbursts, overflow from the Gudenåen stream, elevated groundwater levels, high tides and storm surges from the Randers fjord. 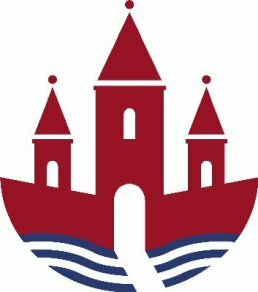 Although the challenges are numerous, Randers Municipality has taken action to turn the tide, with an ambitious climate adaptation project on Storkeengen. The wet meadow, Storkeengen, is located between the village of Vorup and the Gudenåen stream, and these natural conditions will be used to the municipality’s advantage in their project. By using new cloudburst waterways, water is led from surface areas in Vorup to the wet meadow. Here, the water is purified in reservoirs designed as natural wet meadow areas before being released to the stream. Randers Municipality commences construction work in 2018, and Vorup can call itself fully water protected by 2021/2022. In addition, a pump directs the water over a coastal dike which is used during high water levels. The wet meadow is just the first stage of Randers’ vision to combine climate adaptation, quality natural assets and urban development. The residents of Vorup can look forward to keeping their feet dry as well as enjoying nature in the new park. The wet meadow would not normally be able to house a technical pumping facility, but with this solution rainwater from the 30-ha urban area can be purified before entering the stream. 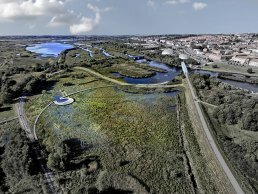 The project sees extreme weather threats as an opportunity to use water as a resource in green city development, with a new recreational area that protects Randers' natural heritage. The project ensures that eight hectares of fens are protected, which would otherwise have been at risk from flooding, according to the municipality’s calculations. By population, Randers Municipality is Denmark's 8th biggest municipality.